We would love to have you stop and visit our retail store located near Castle Rock Lake in rural Mauston, Wisconsin. 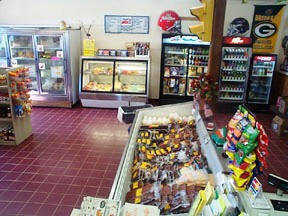 There are a large variety of our products for sale and you can watch us cut fresh meats for you as you shop. Feel Free to contact us anytime. We can take your order over the phone or answer any questions you may have. Please feel free to contact us by writing below. We can answer a host of questions on a large range of areas like catering, sales, meat, military orders, wholesale and livestock. We appreciate your business and your comments, questions and concerns.